NaturesOwnSolutions.com presents a unique way to keep pests out of your backyard, home garden, fields etc with a completely non-toxic and eco-friendly formulation that’s designed to be in perfect harmony with nature. Their flagship product “Cedar Oil Formulation” contains the extract of the Cedar tree oil which has been used since ancient times to ward off unwanted pests. The unique anti pest properties of the Cedar tree extracts have been vouched for across the world from ancient Egyptians, to native Americans who used to extensively use it in their daily life as a barrier against insects. The company is based in USA and is lead by Dave Glassel who has pioneered a research into an organic way of pest control to be an alternative to toxic chemical pesticides which not only harm you but also pollute the environment. The Pestigator program aims to give a natural, effective and proven alternate to give you a pest free surrounding that not only decimates all your harmful pests but also kills larvae, eggs to prevent them from bouncing back to your backyard. Do also check out testimonials of many satisfied users who have successfully used their product. 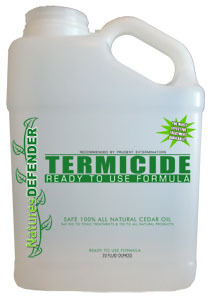 The USDA certified product is effective against bed bugs, insects, mosquito’s, fleas, mites, maggots, ants, termites and many unwanted pests that pose a hindrance to your home and garden. They have a choice of pest control products, lawn food products, Wood products and do-it-yourself kits that are 100% safe, secure and organic. You can choose from garden sprays which start from $9.95, to their safe range of granulars beginning at $29.95 which can be used in planter boxes, godowns, indoor containers, closets, attics etc to keep unwanted insects at bay and also give a refreshing cedar aroma inside your home. They also have an organic fertilizer which has been proven to have all the essential nutrients for your indoor plants and can be used in sprays or dip feed systems. Do also check out a handy aerosol spray that can be carried along with you to give a complete protection against insects and mites wherever you go. The store also has an organic weed killer, special products for your pet dogs and cats to make them insect free, a termicide for your furniture and many more at affordable prices which come with a satisfaction of buying a certified organic product. You can buy their products online, or can call them to get a detailed quote on their pricing.